Last week we touched on how Architects and Designers are creating innovative forms to satisfy the branding requirements of their Clients. 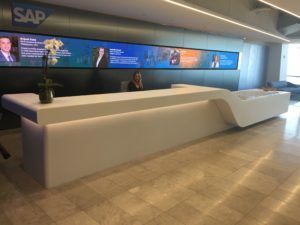 Design Professionals are increasingly integrating client brand identities with dramatically backlighted translucent solid surface. LED lighting is leading the way with these amazing innovations as fixtures get smaller, more efficient and more precise. Machining intricate logo patterns can create complex problems. 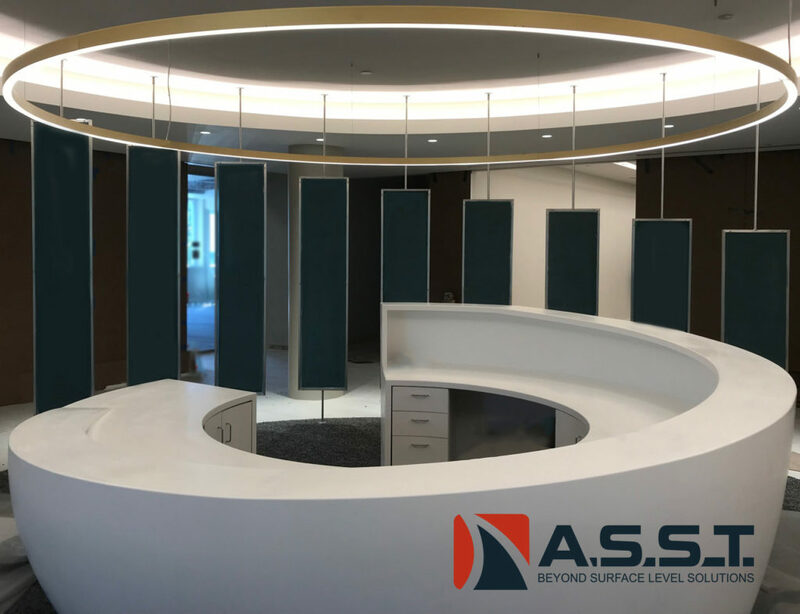 Fabricating solid surface in a cost effective manner is the primary goal, however exorbitant labor costs can result from utilizing inefficient power hand tools. Maintaining a high standard of quality when duplicating multiple parts by hand can be difficult. 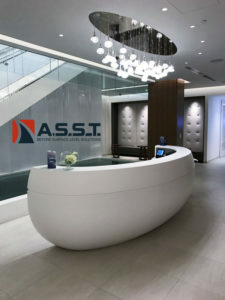 Creating a “wash of light” with vertically installed translucent solid surface is also a challenge with older lighting technologies such as halogen and fluorescent. 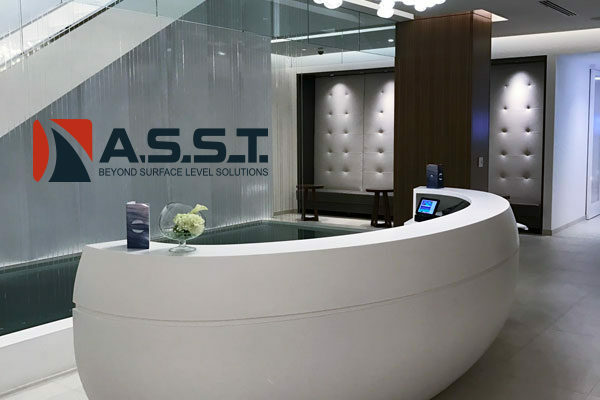 ASST has addressed these problems by harnessing both our in-house CNC machining capabilities as well as our research to identify the most innovative LED lighting products in the marketplace. LED lighting is by far the best way of creating an even wash of backlight without hotspots. LED lighting advancements offer the benefit of energy efficiency, reduced heat and overall maintenance costs. We even address the practical issues of maintenance providing hidden panels for convenient lighting access. 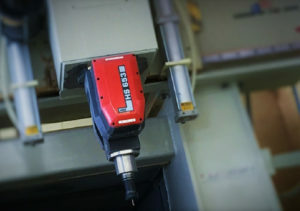 5-Axis CNC machining technologies will no doubt continue to indirectly impact LED lighting and we will be there to ASsiST you with your projects every step of the way! ASST is uniquely positioned to fulfill all aspects of your project. Whatever you need, ASST can build it to the exact specifications you require and the finest quality standards you expect. 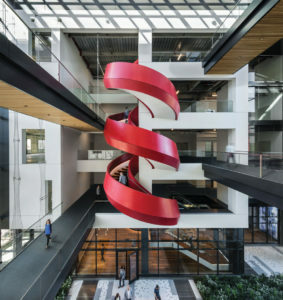 We look forward to Going Beyond™ to address your exciting project challenges. Contact us now online or call us at 717-630-1251.